For this past years Halloween Parade, the girl's Preschool Float theme was "God Loves all the Little Creatures of the World". Of course I was excited to volunteer to make little Creatures for the float! At first I was going to use Create a Critter but then I decided these little creatures needed to look like the kids, so I got to work cutting all these little guys out from Paper Dolls Dress Up. I finally opened my 12x24 paper for this project. It was hard to use it but it was starting to collect dust, so it was time! 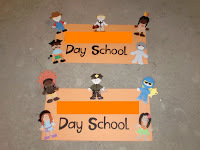 The little kids were cut using white CS and I had the preschool kids color them with skin tones. They had fun and it gave them a chance to participate in the decorations! These two were cut using other cartridges and my Gypsy (my first project using my Gypsy). They ended up being my favorite! I just loved their google eyes! You can see the twist ties we used to adhere them to the float sticking up from the tops of their heads. Then since it was a Halloween Parade, and I knew there would be all kinds of costumes, I decided we needed to represent them too. 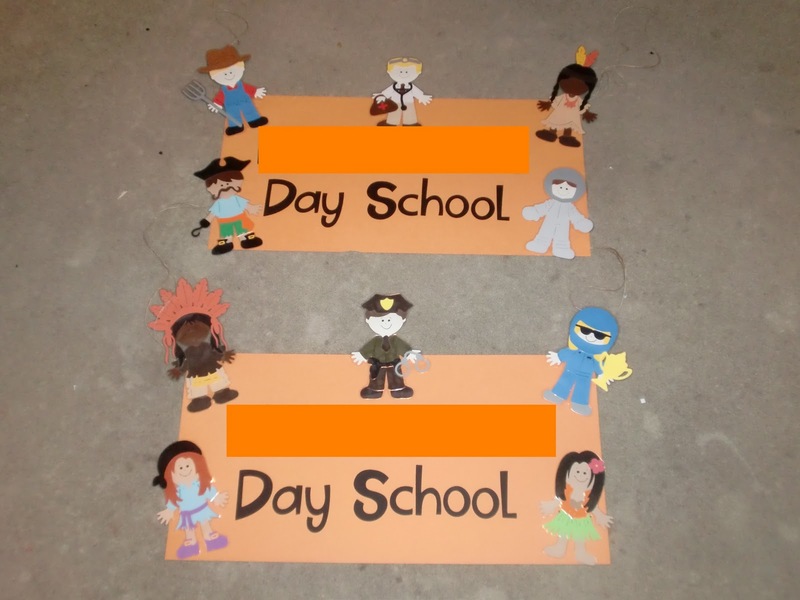 I used my girl's Laminated Paper Dolls for the school banners. I think everyone really enjoyed all the "Little Creatures"!